Wiill offer dance classes for toddlers aged 3-5 showcasing different styles of dance including ballet, jazz, lyrical, acro, African, and hip-hop. Classes will help little ones build coordination, listening skills, cooperation and build their self-esteem. Classes will be bilingual and include those appropriate for children with special needs. 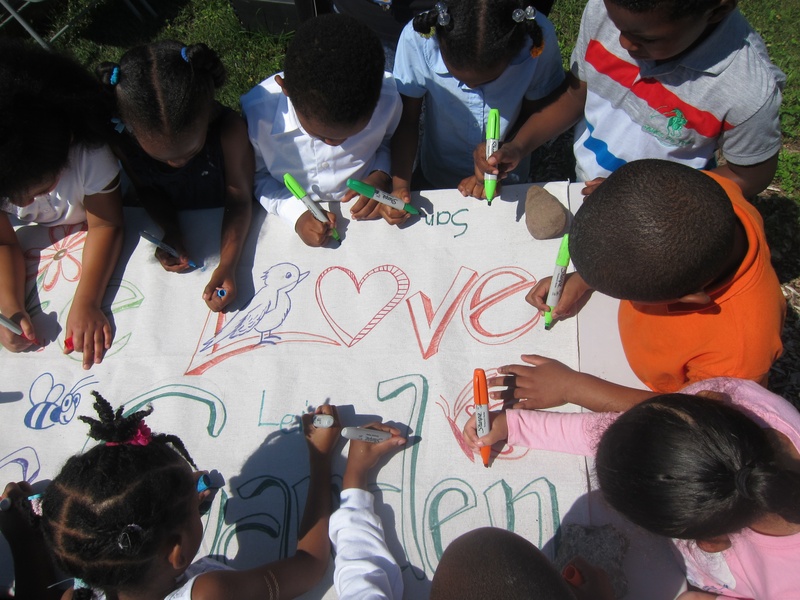 Will integrate free art activities with urban agricultural practices to foster creative self-expression, environmental stewardship, community engagement, and a culture of hope and social change at an early age. 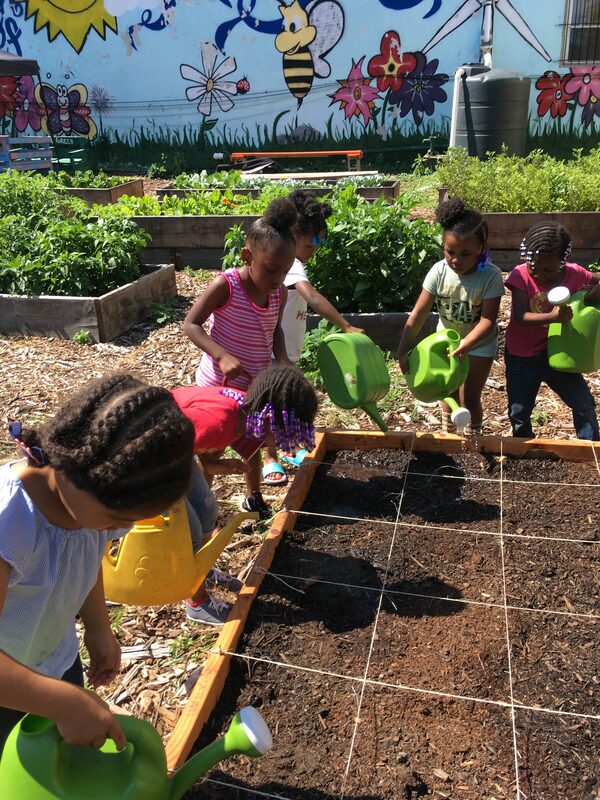 The program will take place inside The Garden of Hope, a community garden initiative of Newark Science and Sustainability in collaboration with artist Roxana Marroquin and early childhood childcare providers. Photos courtesy of Newark SAS. 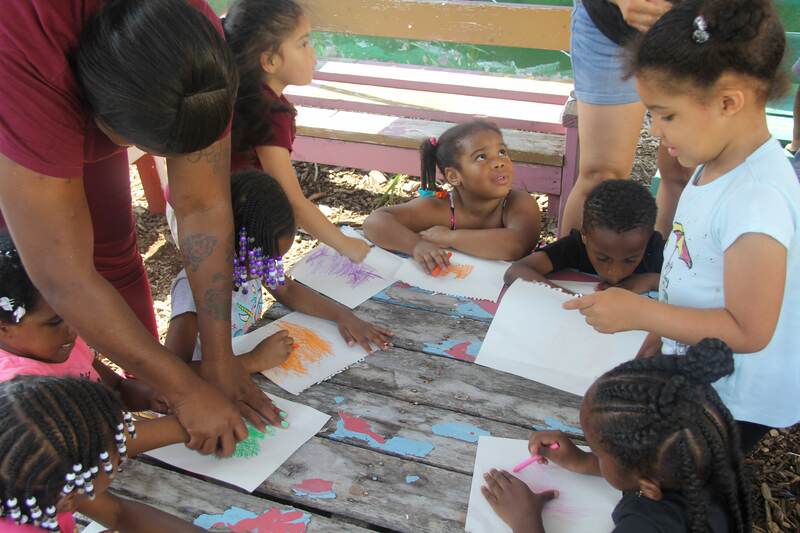 Will introduce pre-k children to the arts in a unique way, where plants, trees, and other wonders of nature located in the gardens at Greater Newark Conservancy will be used as a vessel to create art in various forms. 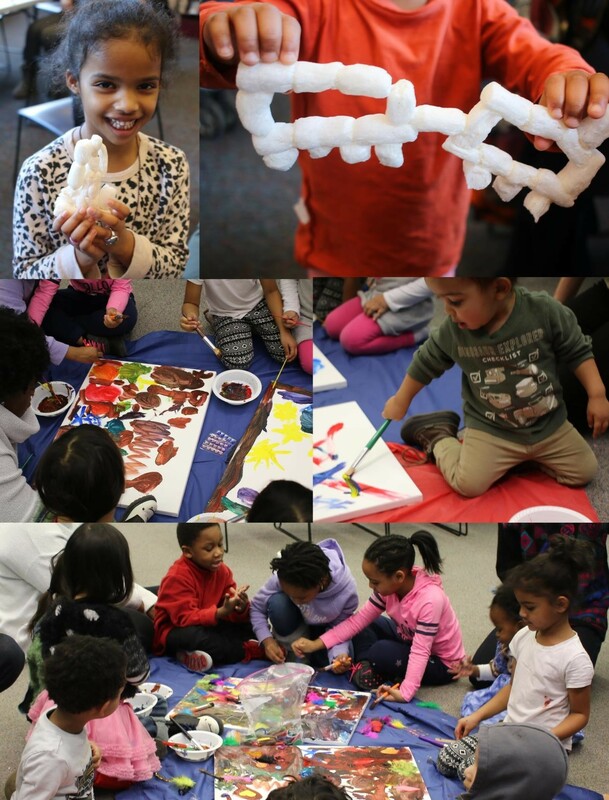 Memorable take-home projects and a sculpture project that will beautify a neighborhood, will be orchestrated under the direction of local artist, Jerry Gant, and created by the vision of Newark preschoolers. Will lead 30 Newark seniors through a personal history art project over 10 weeks starting in September 2018. Fifteen seniors will be residents of Grace West Manor in the Central Ward, and the other 15 will be residents of St. Mary’s Villa in the West Ward. 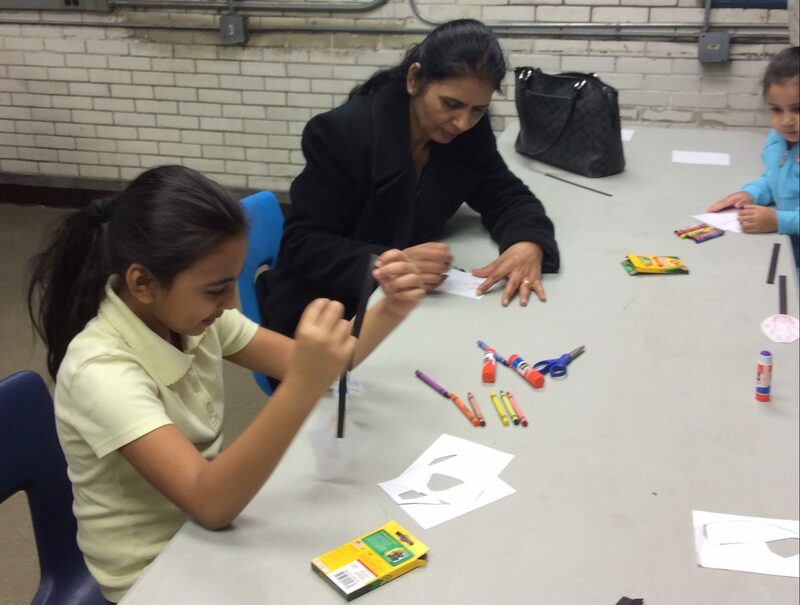 Participants will learn elements of art and design to create intricate collages reflecting their own personal history. 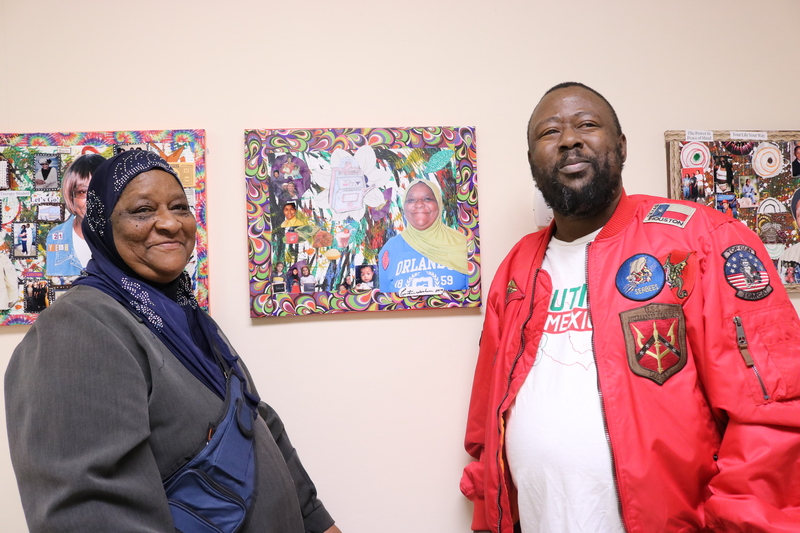 The works along with accompanying writings by the seniors will be exhibited at the senior residences. Will host its summer arts program, Youth Leadership Corp (YLC), which leverages the fascination with glass and creating art to keep students engaged in learning during the summer months – rather than losing ground gained during the school year – and teaches critical 21st century skills too often overlooked by traditional classroom approaches. Lasting six weeks, the YLC is an opportunity for local high school students to create, learn, and grow intellectually, socially and emotionally. 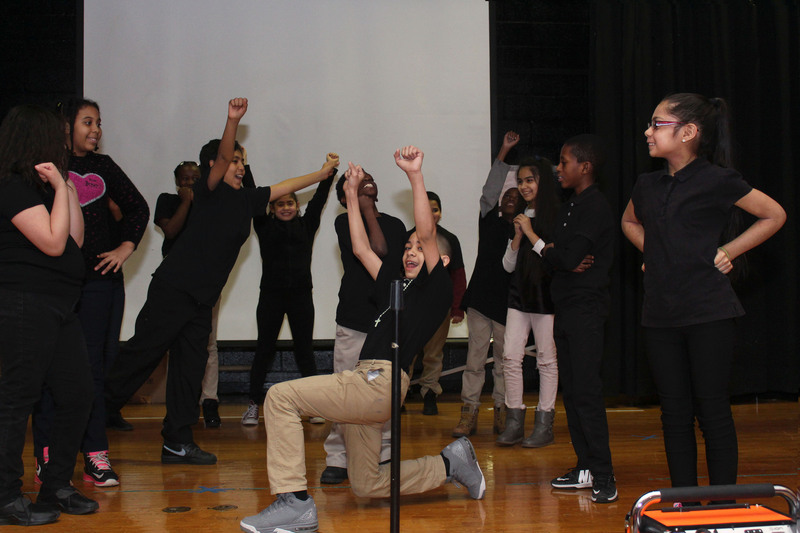 Will lead the Newark Multimedia and Performing Arts (MPA) Residency Program, a managed residency model that works deeply with school leaders and educators to bring professional artists into Newark classrooms. 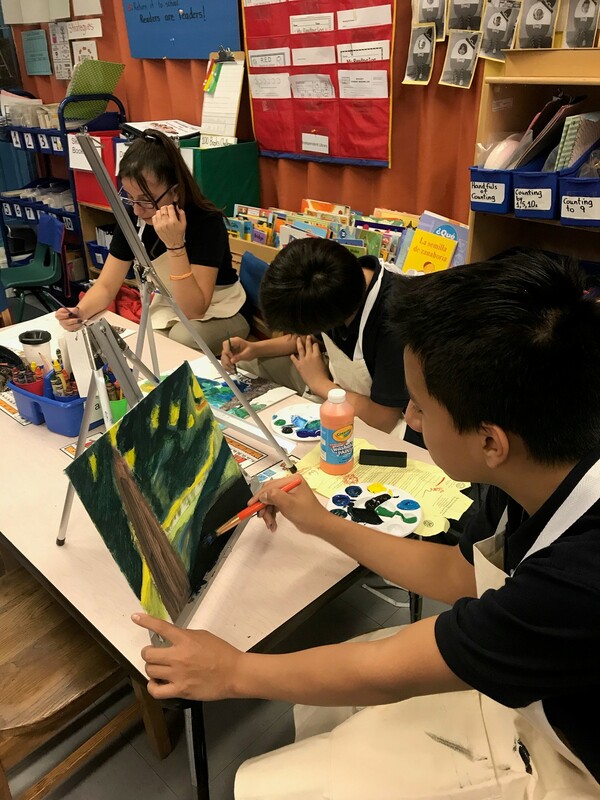 The program develops students’ comprehension and appreciation of arts and technology; encourages work that is empowering and uplifting; creates a strong sense of community in the classroom; and enhances current arts programming. Will lead “Keys on Tour,” a series of performances around New Jersey by Keys 2 Success students. 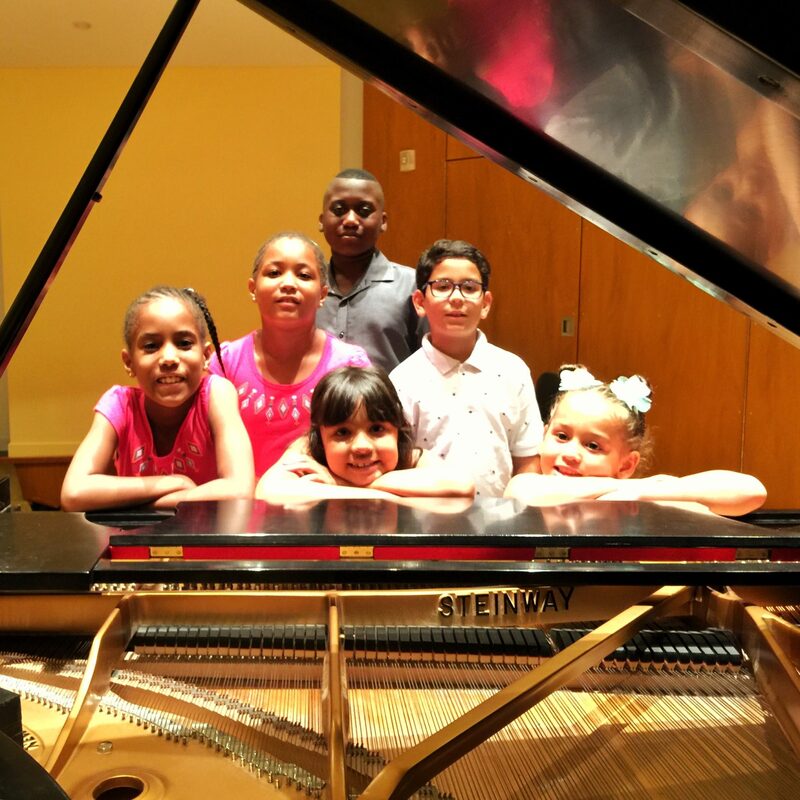 Keys 2 Success is a music program serving underserved Newark elementary school students. 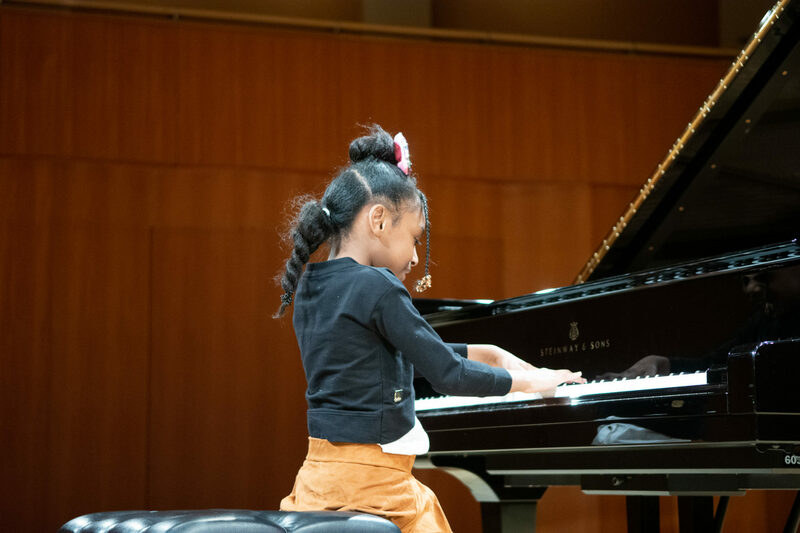 Performing regularly in ensemble settings, before diverse audiences, is a powerful tool for teaching our students critical life skills, including teamwork, long-term planning and preparation, presenting with poise in unfamiliar and new environments, and developing a sense of belonging to something bigger. 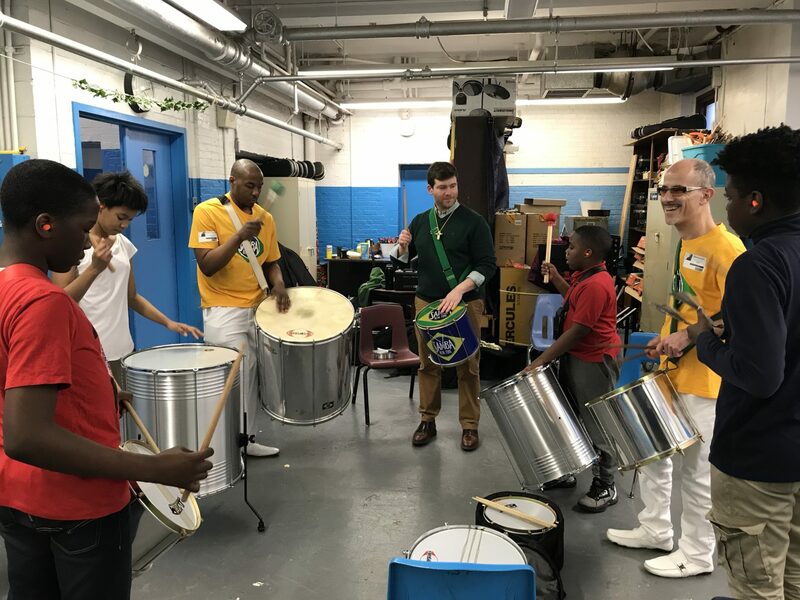 Lincoln School Jeffrey Cierniak School Time Samba! 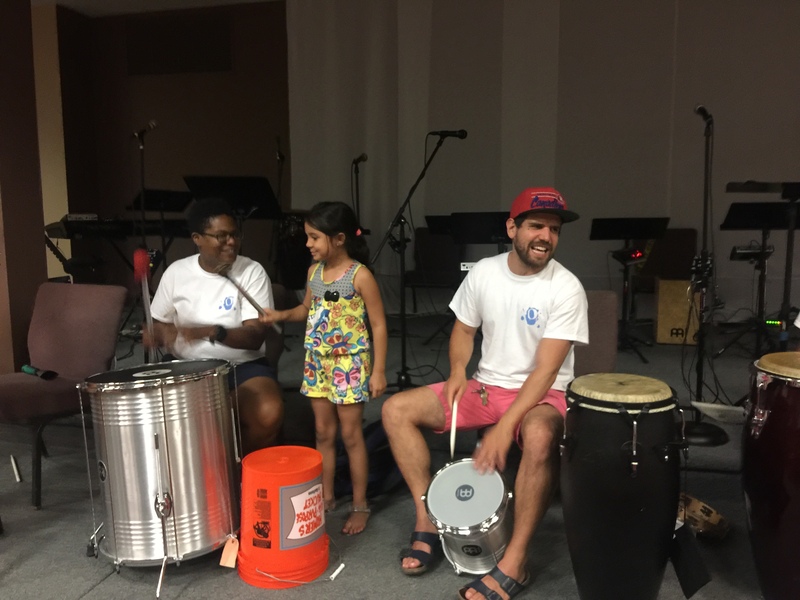 Will engage students at the Lincoln School in the Vailsburg community of Newark with a percussion heavy ensemble that focuses on energy, movement, and rhythms that will get everybody moving. While a music community is being established at Lincoln School, the arts are still underserved. This program will create an ensemble that is attractive to young people who may be hesitant to join a more traditional ensemble. Will strengthen, expand and share the treasure of the Chorus with the City of Newark and beyond. These activities will be conducted in conjunction with Musica Sacra, the premier professional vocal ensemble in New York City. There will be three interrelated components: Musica Sacra; Frost Valley Music Camp; Concert Chorus Performances. Is a justice initiative that provides community service and social service mandates as alternatives to incarceration for low-level cases in the Newark Municipal Court. Newark Community Solutions seeks ways to build community and provide meaningful experiences for its clients and partners, and will take part in a multi-part play writing workshop for residents whose lives have been touched by the justice system and/or addiction. Will create a modern hip-hop musical, painting an intimate portrait of growing up with the vibrant perspective of a young artist in the dynamic and complex city of Newark. Talented singers, dancers, actors, and musicians from middle school through local undergraduate programs will represent the creativity and diversity of the city, both as paid artists and ambassadors of truth. Will create “Ritmo y Rima/Rhythm and Rhyme StoryTime” for children ages 2-6 from July 2018 through March 2019. The bilingual program will feature stories and rhymes about children pursuing creative arts in English and Spanish. Through the use of music, movement and props, children will engage in creative expression and establish essential skills in literacy. Each of the monthly sessions will include an instrument-making workshop. 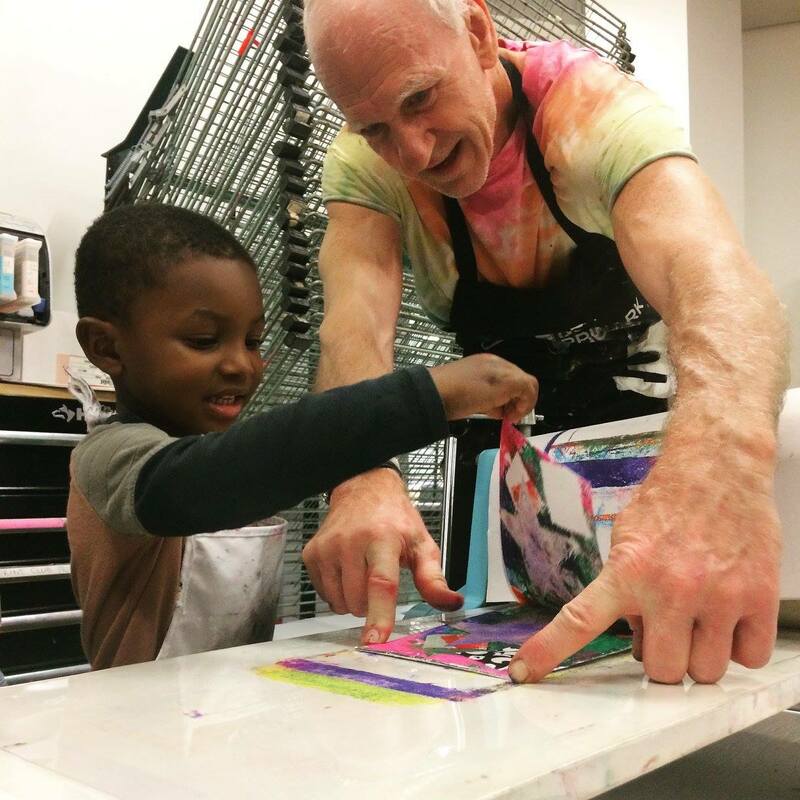 Pint-sized print club is designed to offer quality arts programming to an often overlooked community, our pre-school aged children. This program will be offered in conjunction with the Cool Cats Family Pass and Open Doors Kids. “Pint-Sized Print Club” is a free drop-in program where our littlest printers are invited to explore printmaking and create prints in a variety of age-appropriate media. This program is designed for pre-school children and their families. Will create a TV/Film Production Class to reach 100 6-8 th grade students across four 50-minute periods each week. 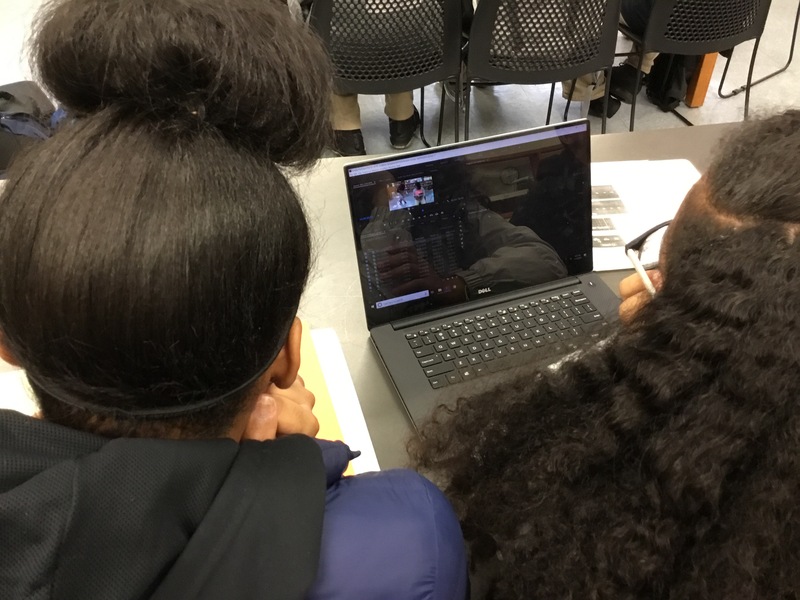 Students will explore film techniques and create a bi-weekly school news channel to showcase student talent, build confidence, and nurture an inclusive and student-led school culture. Students will meet professional artists and develop skills needed to pursue careers within the entertainment and technological fields. Will help youth and young adults learn about Art Activism, while having the opportunity to study activist artists who focus on social issues. 30 high school youth will work to spread awareness to a social issue with a call to action by visual artwork. Youth will also provide their own recommendations to a related policy, while showcasing their own visual art renditions of past/current activist artists’ artwork. 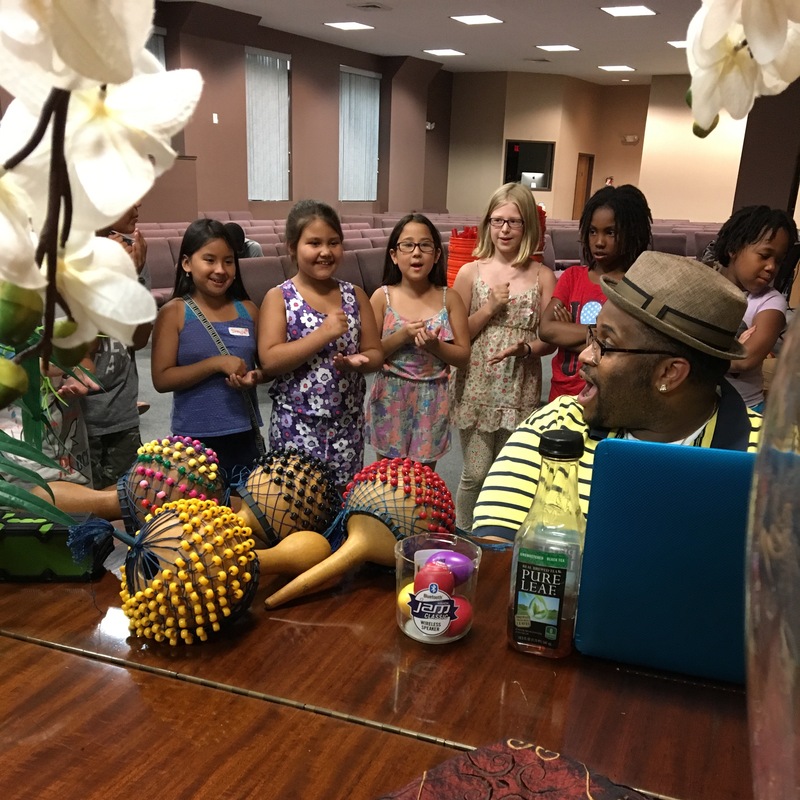 Versatile Vailsburg is a new initiative and partnership between UVSO and the Newark School of the Arts. 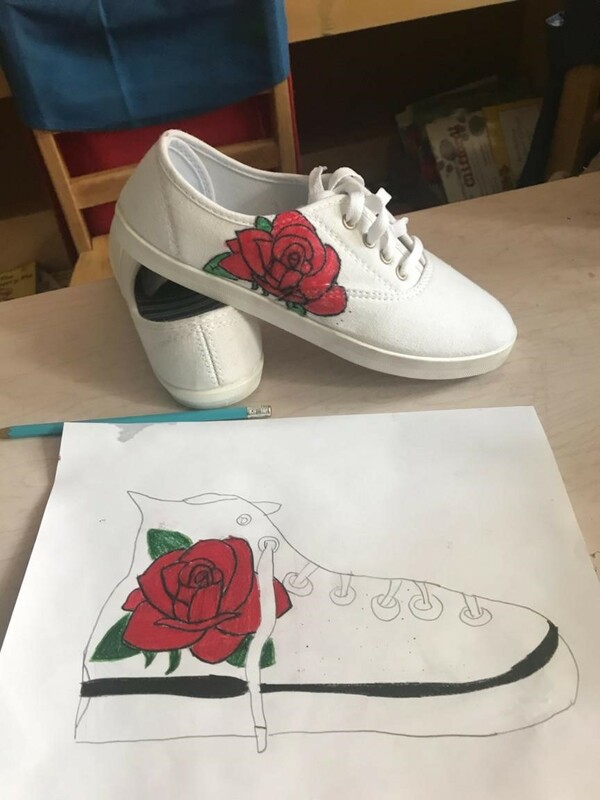 Project goals are to: develop personal artistic interest, offer youth textile exploration, and provide full exposure to art techniques including: screen printing, dye labs, sewing machines, carving, and weaving. 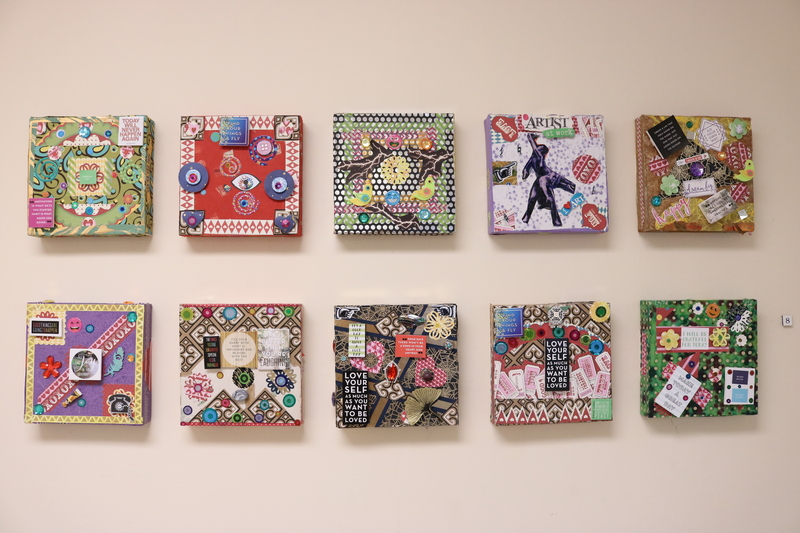 The culmination of the project will result in textile art pieces designed and created by youth that will be displayed during UVSO’s Multicultural Extravaganza Week, March 18 – 22, 2019. 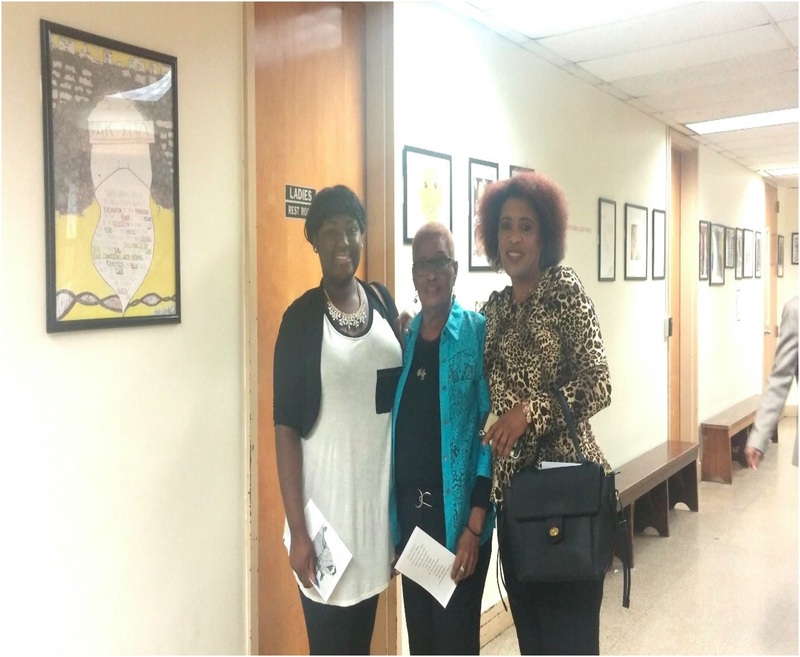 Ivy Hill Vailsburg Center for Arts, Culture, and Community Activism Marcia Heard Summer Arts! 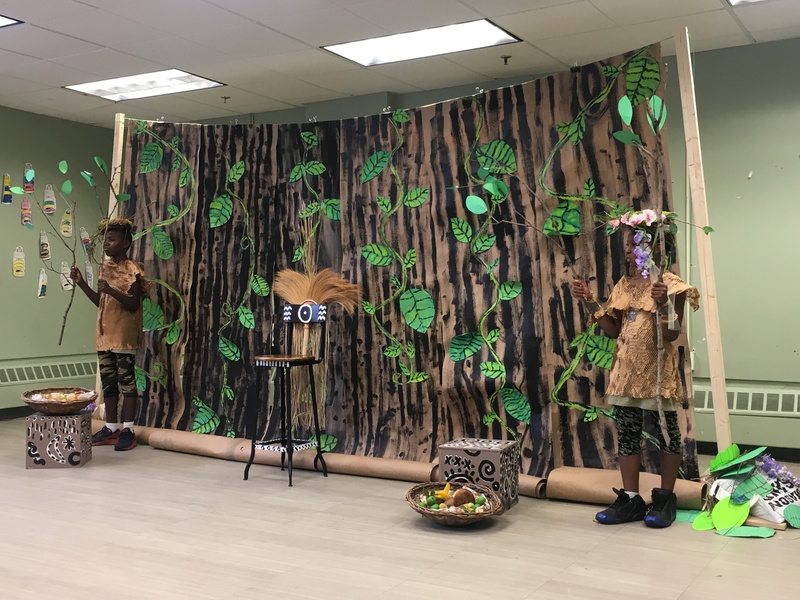 Will host Summer Arts!, which will offer arts classes, dance, music, theater arts, visual arts, and community activism classes, for 8-18 yrs, and culminates in an art exhibit and a Musical Theater Revue whose theme is African Americans in Musical Theater on Stage and in Film. Is an arts program that will engage young people and local artists with the intention of beautifying selected Newark locations through two mural installation projects. 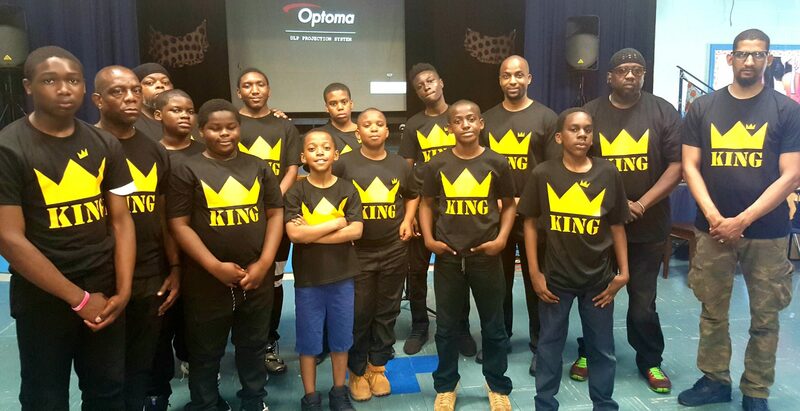 Over the course of six weeks, up to 50 young people will work with artist, Suliman Onque and his team, “3-The=Art-Way,” to design 2 murals that will be installed at two Newark locations. 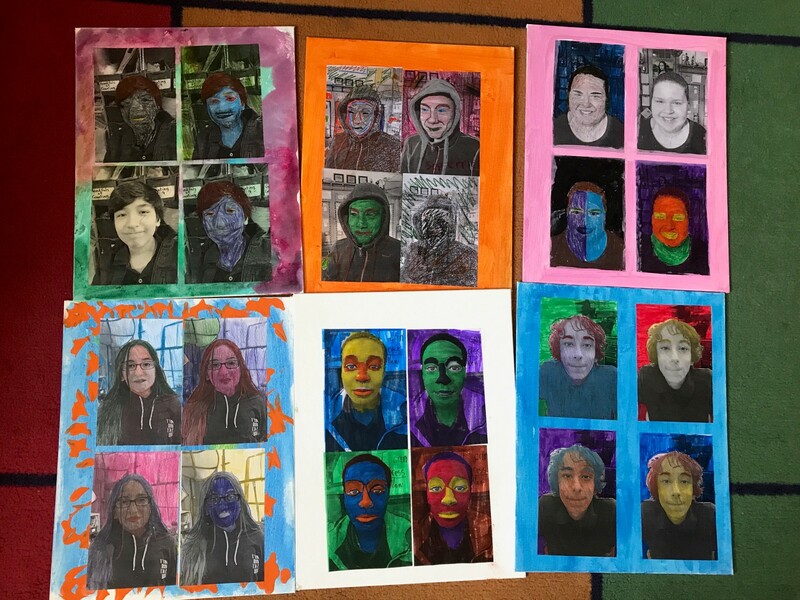 Recognizing that our students need opportunities that would allow self-expression through varied creative outlets, we at South Street School would like to provide students in grades five through seven with that opportunity in the form of an after-school graphic design program. Our program would immerse our students in valuable hands-on learning experiences that will ultimately transform them into becoming authentic innovators that may one day change the world of tomorrow. 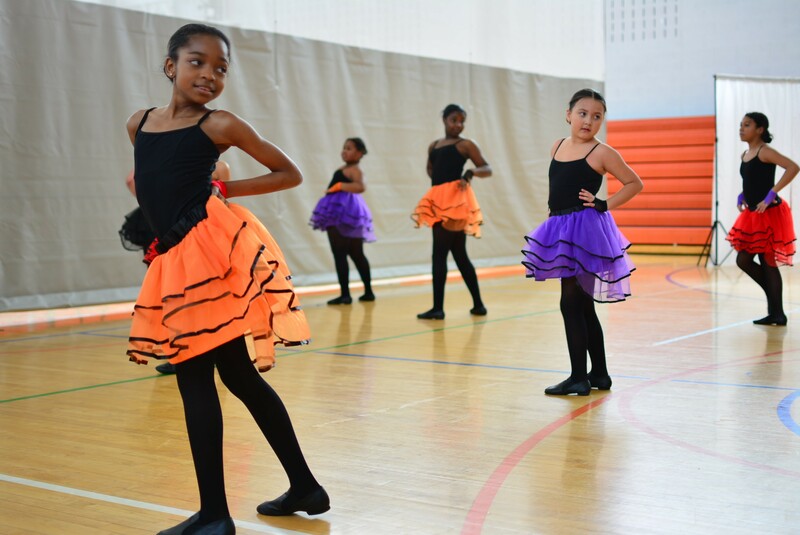 Thirteenth Avenue School would like to diversify art education for our students by collaborating with the Newark School of the Arts to offer our students tap dance instruction. 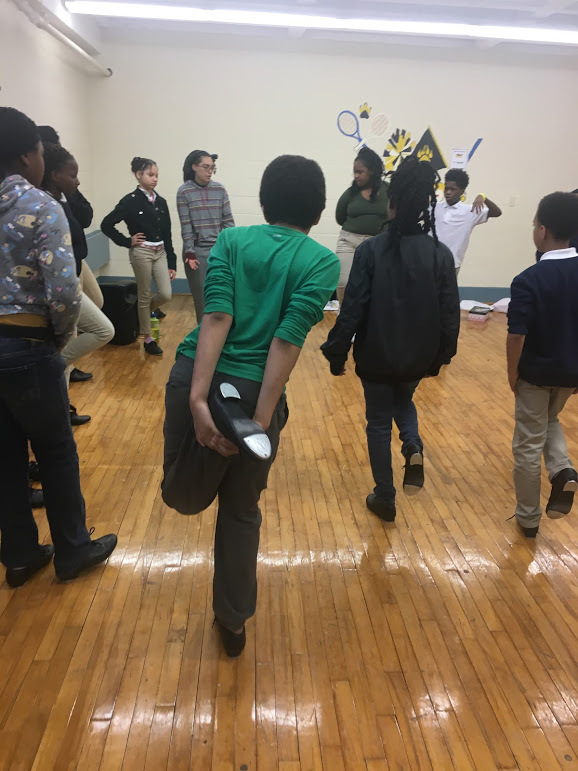 The proposed project will expose students to professional dance and offer an alternative form of engagement outside of the standard school classroom. 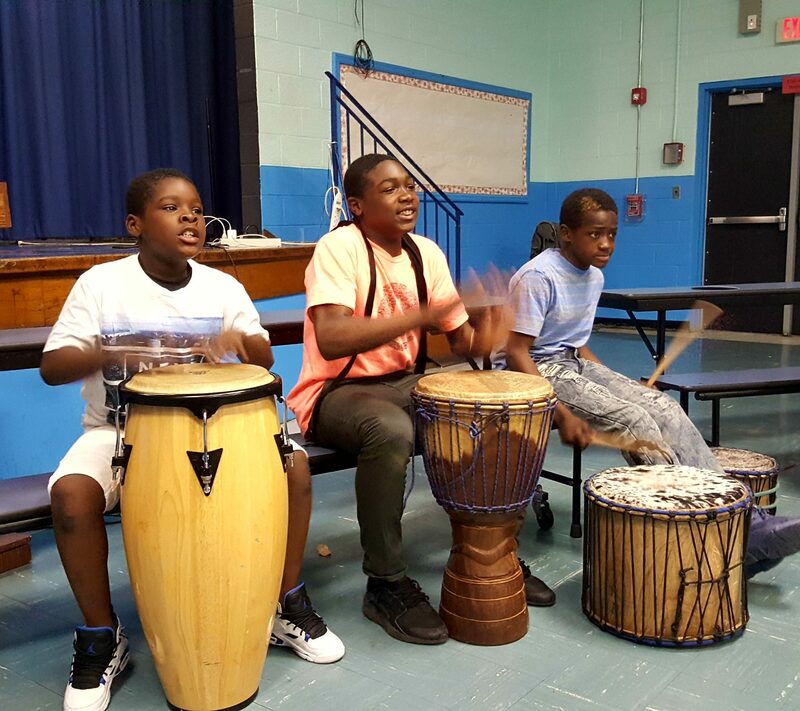 We are writing to request funding to launch a one-week intensive summer drum camp in July 2017 affiliated with the Keys 2 Success music program. 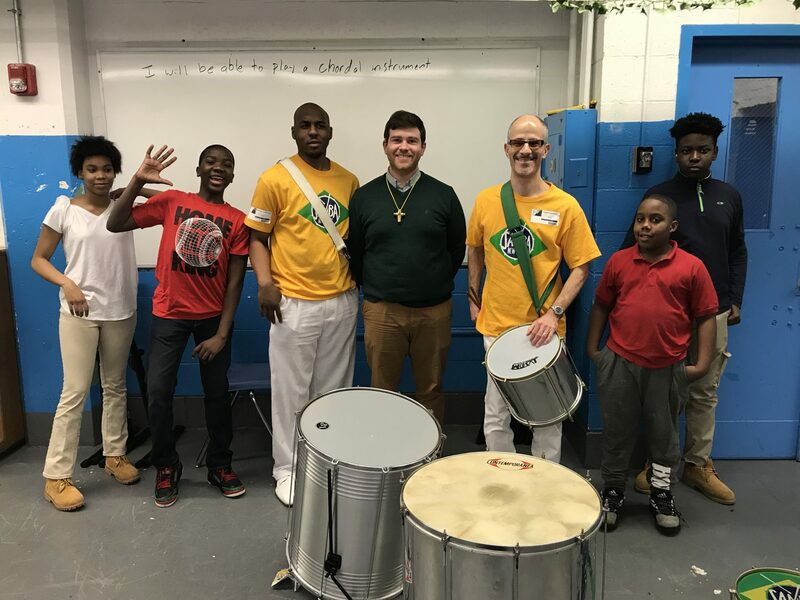 This camp is designed to build off the success of the Keys 2 Success weekly 45-minute in school ensemble percussion training session that has been conducted throughout the spring of 2017 in South Street School in the Ironbound section of Newark. 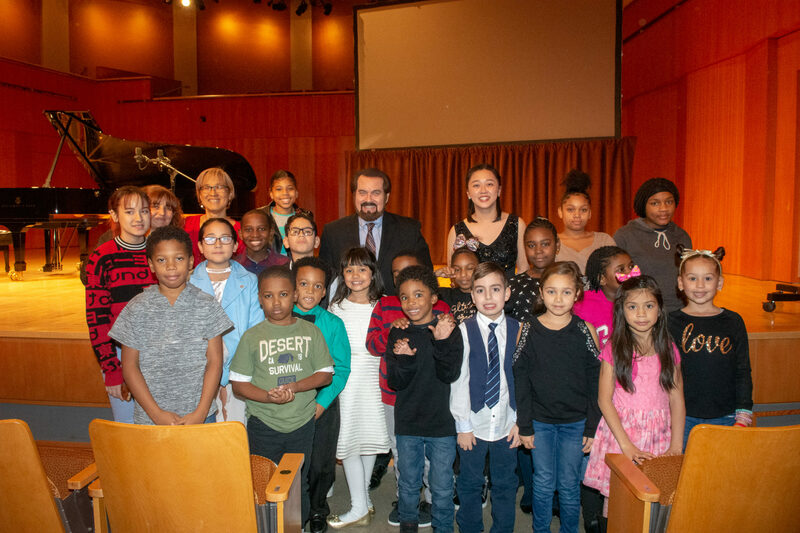 Rafael Hernandez School aims to partner with the Metropolitan Opera Guild in a year-long opera program for our 5th grade students and teachers. 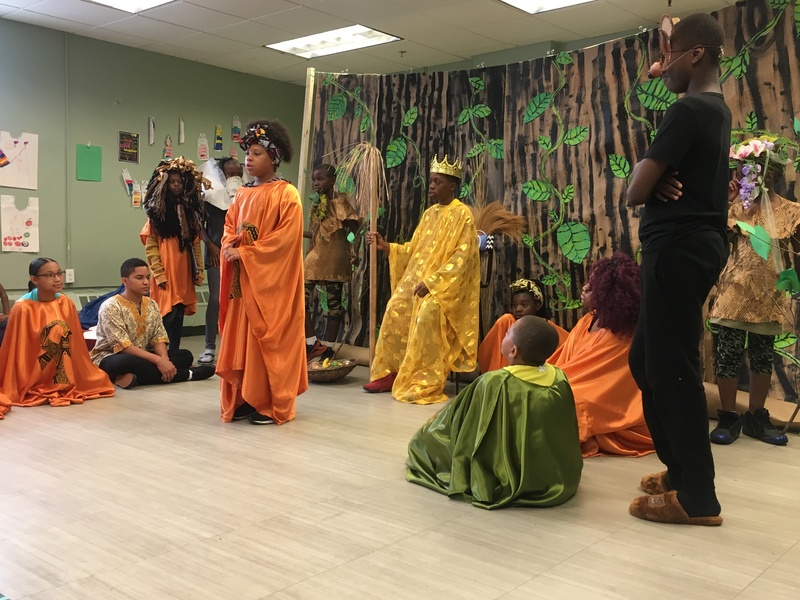 As a result of the partnership, over 120 students across four 5th grade homerooms will create and perform their own class operas based on stories, poetry, or historical events from literacy class. 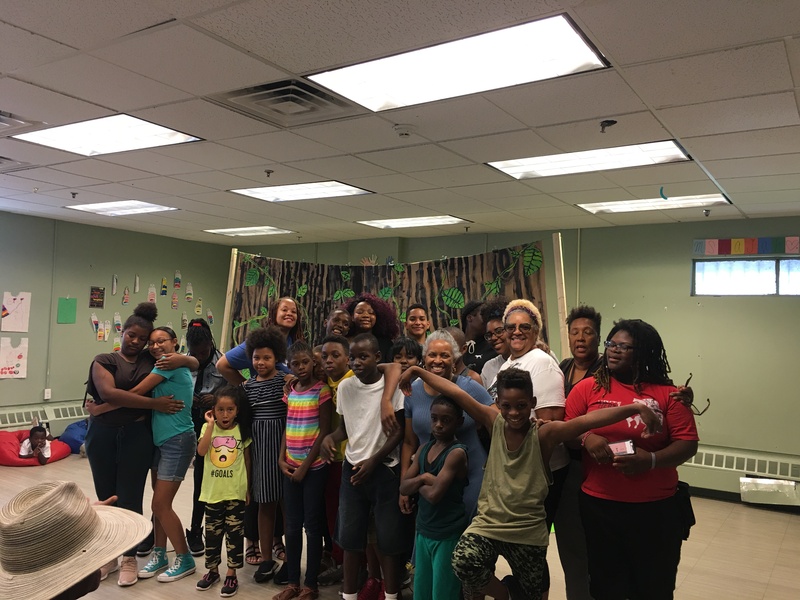 This project integrates theater with the goal of engaging students and families while building confidence, collaboration, and creativity. 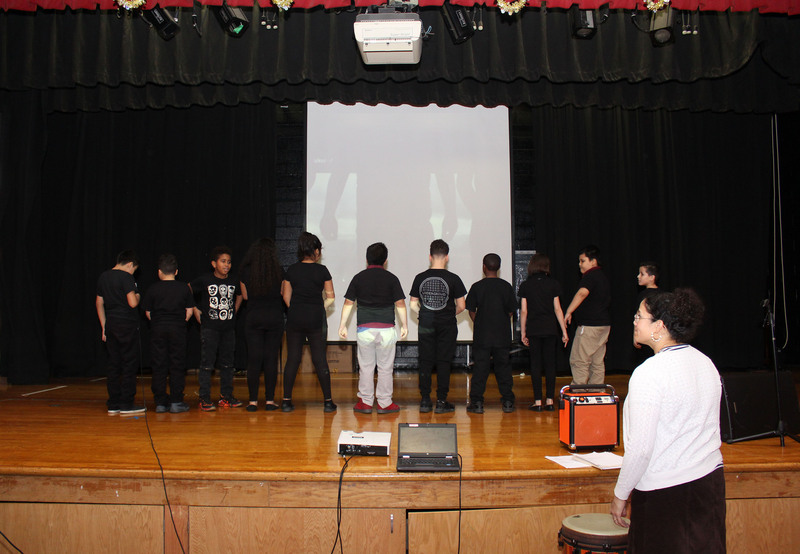 The Newark Multimedia and Performing Arts (MPA) Residency Program features deep collaborations with Institute teaching artists and Newark school’s administration leaders and classroom educators. The program aims to develop students’ comprehension and appreciation of the arts, technology, and music; encourage school work that is empowering, uplifting, and positive; create a strong sense of community in the classroom; and enrich and enhance the school’s current arts programming through technology and collaboration of new artists and educators. 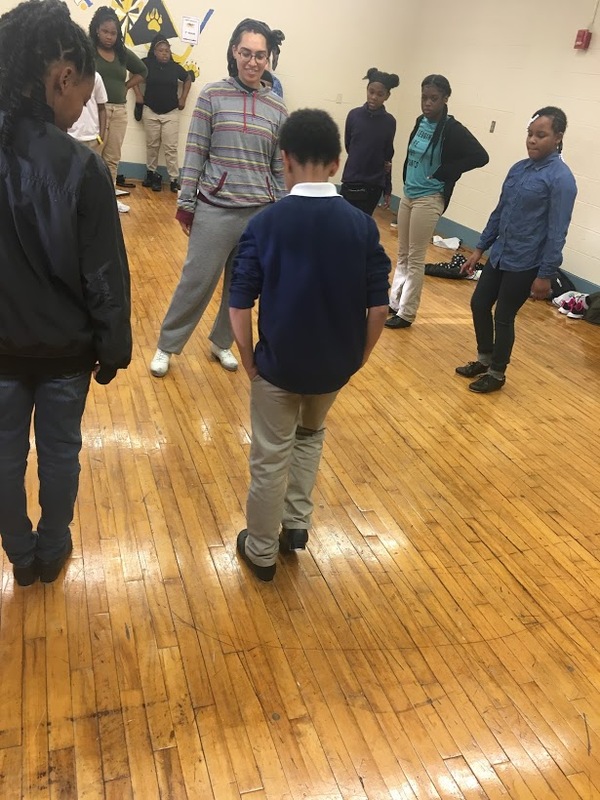 During the 2017-18 school year, Sharron Miller’s Academy for the Performing Arts (SMAPA) will continue its successful in-school dance residency partnership at Newark’s Quitman Street Community School, benefiting an estimated 370 K-8th grade students through 19 weekly dance classes conducted by skilled teaching artists (28-week program, culminating with two year-end performances). SMAPA’s innovative curriculum features creative movement (K/1st grade), tap (2nd/3rd grades), West African (4th grade), jazz/hip-hop (5th grade), and a 6th-8th grade elective. 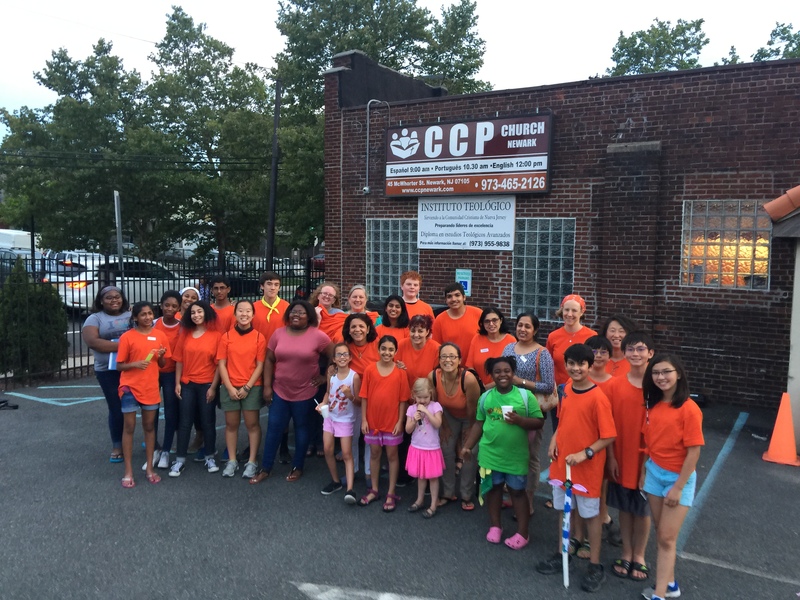 Activism Through Arts would like to offer the program “Lower Broadway Creative Mondays”, which is an opportunity for Newark residents to take free visual arts and dance classes at “The Painter’s Palette NJ”, which is located on 9 7th Avenue. Classes will be provided on Mondays and will alternate between Dance and Painting classes for adults and children. 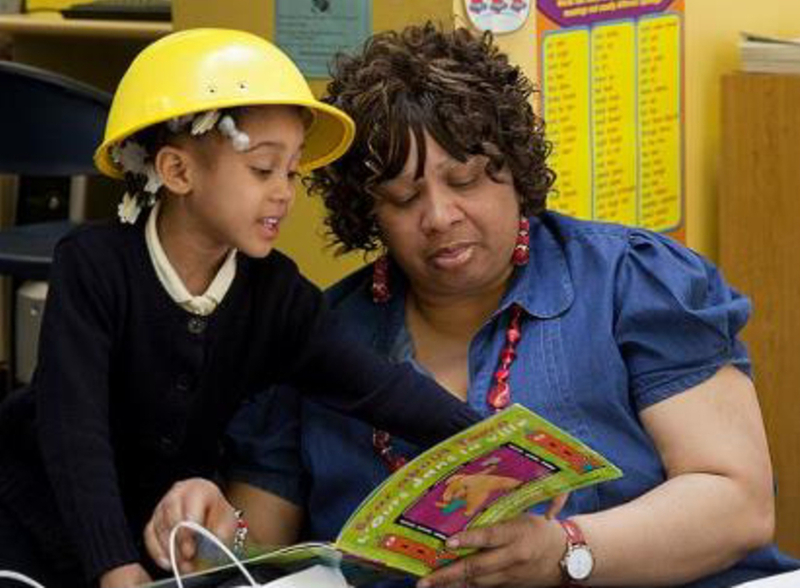 Dramatic Impact will bring their Family Literacy event to four Newark schools: Louise A. Spencer/Miller, Belmont Runyon, BRICK Avon and Brick Peshine. The interactive family workshops offer parents and caregivers an opportunity to be actively involved in their children’s academic and social growth, while helping build positive family relationships. The sessions engage families in storytelling and puppetry activities that strengthen language arts literacy skills and support the development of communication and interpersonal skills. “Granny Bombers Tiny Taggers” is an intergenerational art and oral history project. 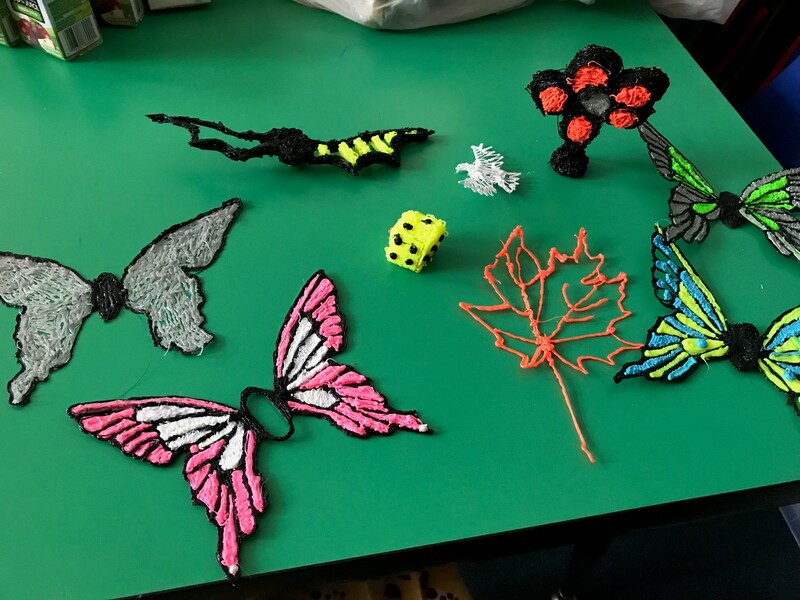 Senior citizens from Newark’s Ironbound Senior Center and 5th graders from nearby Ann St School will create “blossoms” out of yarn during instructional “knit-ins” and share personal testimonies through theater-making techniques. The material generated will be transformed into a play. Newark area actors will be engaged to perform the free show at LIPS Gallery. Yendor Production in partnership with the Girls Scouts plan to create a mural dedicated Girl Scout and its legacy. A Yendor artist and girl scouts will design and produce a mural in Newark by partnering with local troops to celebrate the long legacy and current leadership activities of Newark girls. Having over forty murals Yendor welcomes this opportunity to work with and honor the Girl Scouts. GlassRoots Summer Youth Leadership Corps provides in-depth training on leadership/mentorship skills, while exposing youth to careers in art and preparing them to serve as mentors in an our summer glass-experience program. The Youth Leadership Corps (YLC) is ‘staffed’ by students who have participated in our other long term programs and who are ready to be trained as mentors. Gallery Aferro will offer a second season of the Aferro Mobile Portrait Studio, going throughout city neighborhoods creating free portraits for everyday Newarkers of all ages. 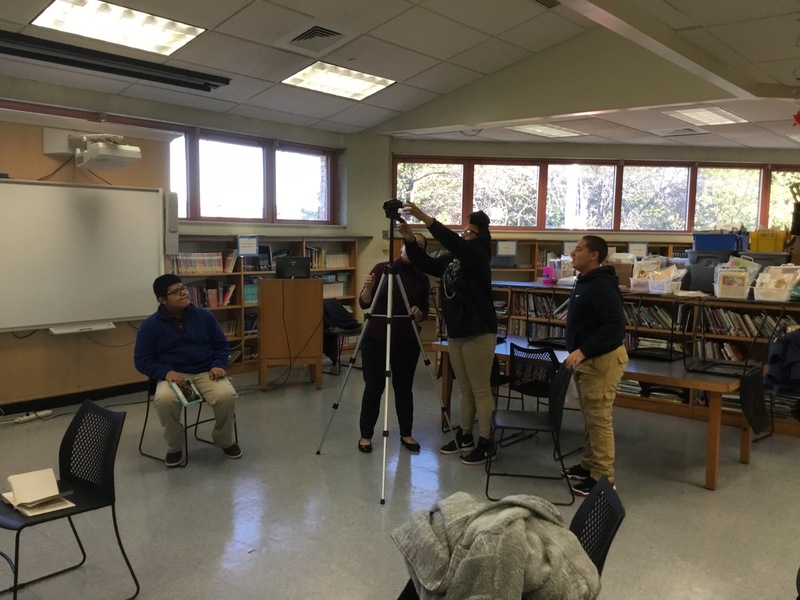 A documentation team of community youth will create a capstone for the project by documenting the project and creating a how-to manual for everyone to make their own Mobile Portrait Studio. Launched in 2011 by the Center for Court Innovation, Newark Community Solutions is a community justice initiative that applies a problem-solving approach to low-level cases in Newark Municipal Court. Newark Community Solutions believes that treating defendants and victims with dignity and respect enhances the public’s trust in justice. 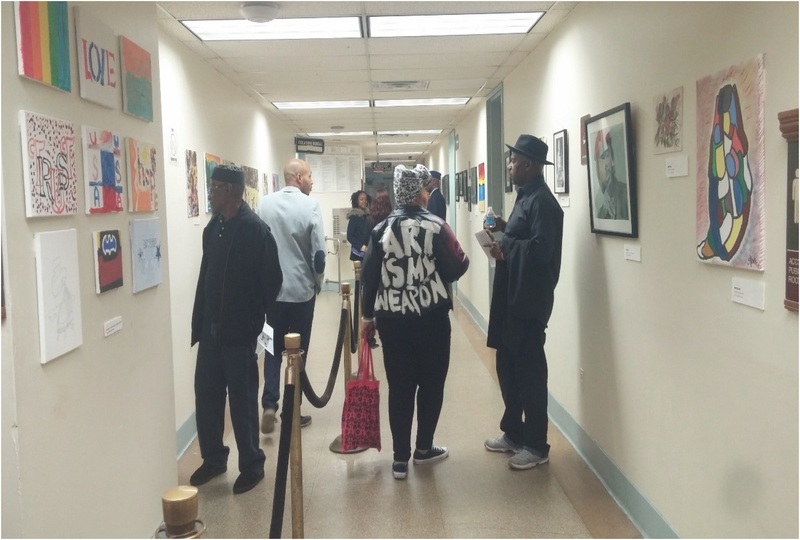 Newark Community Solutions proposes to display art in the main corridors that reflect the strength, diversity, and history of the Newark community. 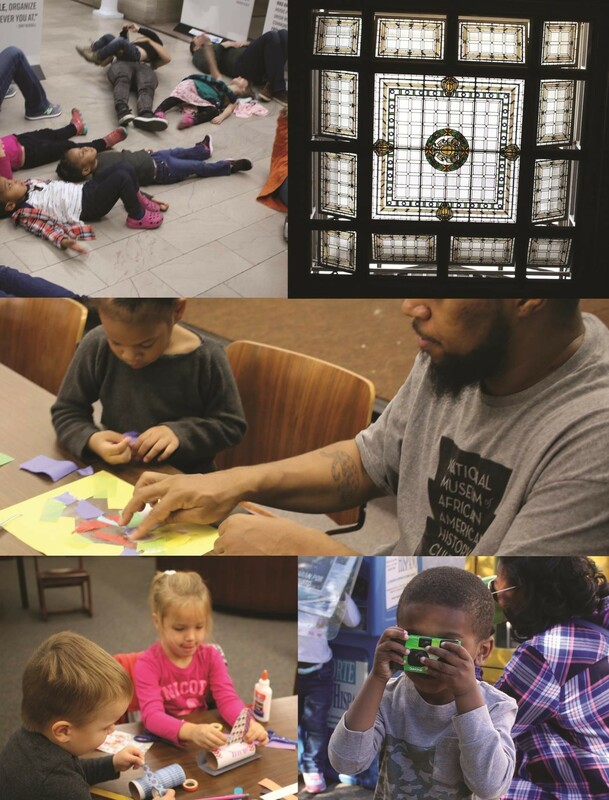 In the Fall 2017 and the Spring 2018 create a series of multi-week art galleries in the NHA Recreation Centers: Waterfront, Clubhouse, and TREC. Each gallery will include an artist talk and a community art event. Student interns will learn the “business of art”. 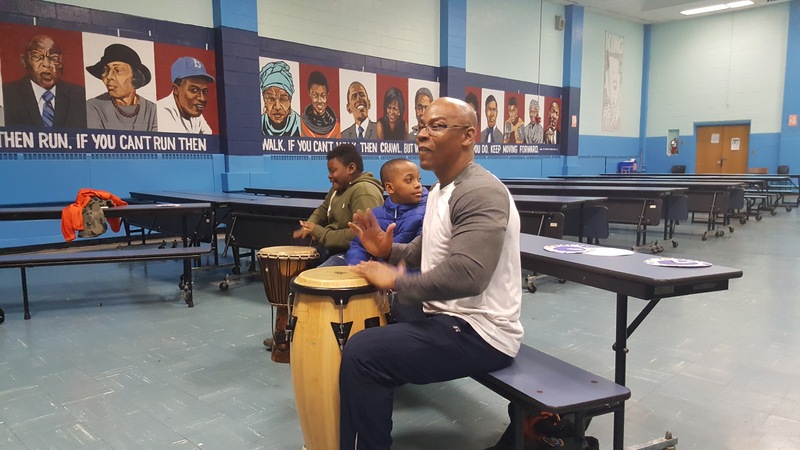 Primary among the many benefits is to bring rich cultural experiences to the under served populations of Newark in the North, western edge of Central, West and South Wards. Building On Books is a monthly story time with a coordinating activity for children (under age 5) and their caregivers. In our first two years, we tied children’s literature to crafts and dance. Our new series, “Building on Books: OUR CITY,” will coordinate activities inspired by the city of Newark. In addition to reading children’s literature about cities and communities, the city of Newark will be both a medium and canvas. 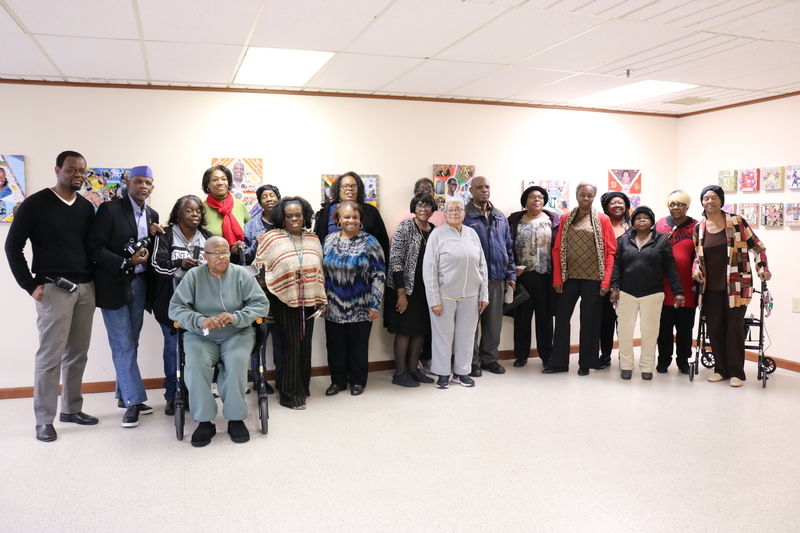 Description: GlassRoots will use ArtStart funding to create a moveable glass mosaic representing faces of Newark at its 350th anniversary, to facilitate the connection of the residents and members of the Newark community with this historic event. The project anticipates creating between 350-500 mosaic tiles by its end. The project will also be replicated virtually, with an online mosaic-expanding our reach. 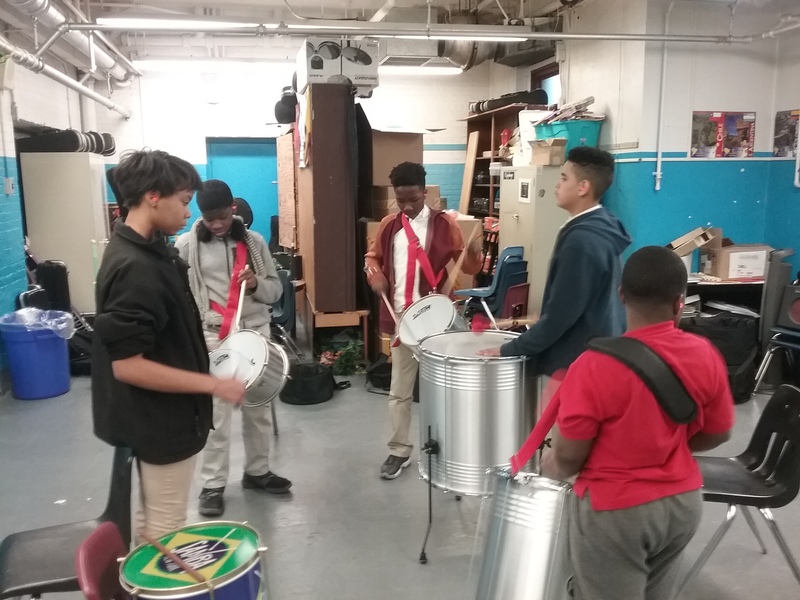 Description: In partnership with Gallery Aferro, Collaborate Audio Lab’s (CAL) project Newark in Tune will work to mobilize Newark’s rich diversity of arts institutions, musicians, and talented youth towards a common goal. Spencer Frohwirth, a resident educator, musician, audio engineer, and founding member of CAL will direct the creation of a city-wide anthem that will represent our urban experience and combined hopes for the future of this wonderful city. 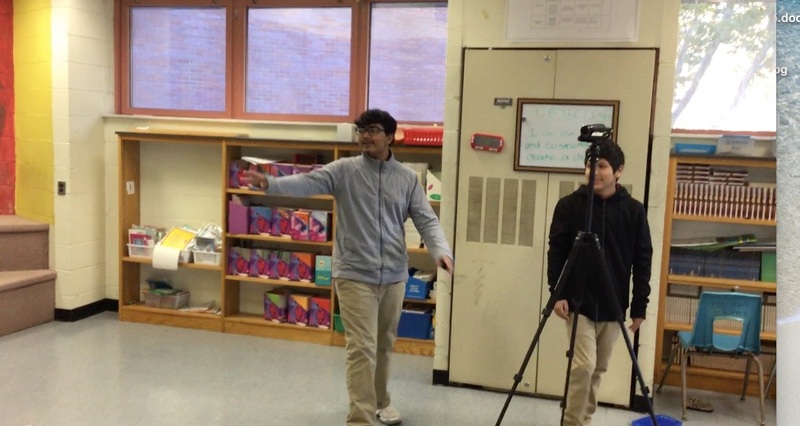 Description: In 2015-16, the Mobile Media Lab will travel to 2 schools in Newark. In each, 2 classes of 25 at-risk teens (ages 12-19) will meet with 2 Master Teaching Artists for 12 1-hour sessions over the course of 3 months. Each site will choose to study Digital Video or Electronic Music Production (or at times, both). Combined, these in-school residencies will bring teens over 360 direct hours of arts technology time and connect them to industry professionals and opportunities. Description: The Newark Print Shop will host Paper in the Alley with artists Anne McKeown and Lisa Conrad as project facilitators. This project is a free workshop offered to the public to learn the fine art of papermaking from processing raw fiber to pulling sheets of beautiful handmade paper. The project will occur over a two day period, open and accessible to the general public, on Friday, July 17th and Saturday, July 18th. Description: Bridges will give digital cameras to people in Newark who are homeless so that they can express their world through photography and so that others may see their city as they see it. This project will give voice to homeless people in Newark where the largest population of street homeless in Essex County live. Homeless photographers will have the opportunity to work with Akintola Hanif, a Newark-based photographer and professor of photography at Rutgers University – Newark. The six-month project will culminate in a studio exhibit in Newark with approximately 30 photographs. Description: Creating 2 pop-up galleries in the Lower Broadway Neighborhood of Newark is the goal of this project. These galleries will pre-set a range of visual arts as well as spoken word performances of local Newark poets. In addition to providing access to art for Newark residents with limited opportunity, these galleries will bring traffic to neglected blocks thus benefiting both local residents and small businesses and offer opportunities for high school volunteers to learn the business of art. 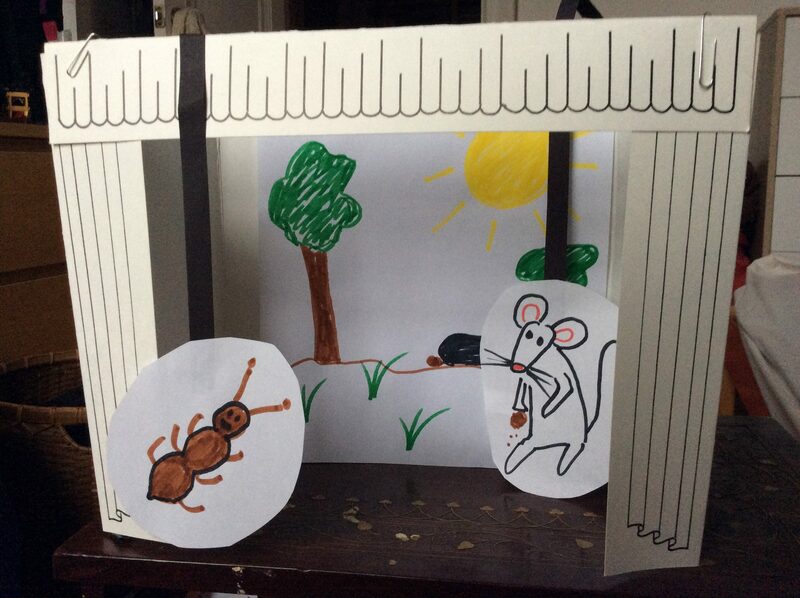 Description: “Building on Books” is a newly designed arts program that turns popular children’s literature into inspired art activities specifically designed for children aged five and under. 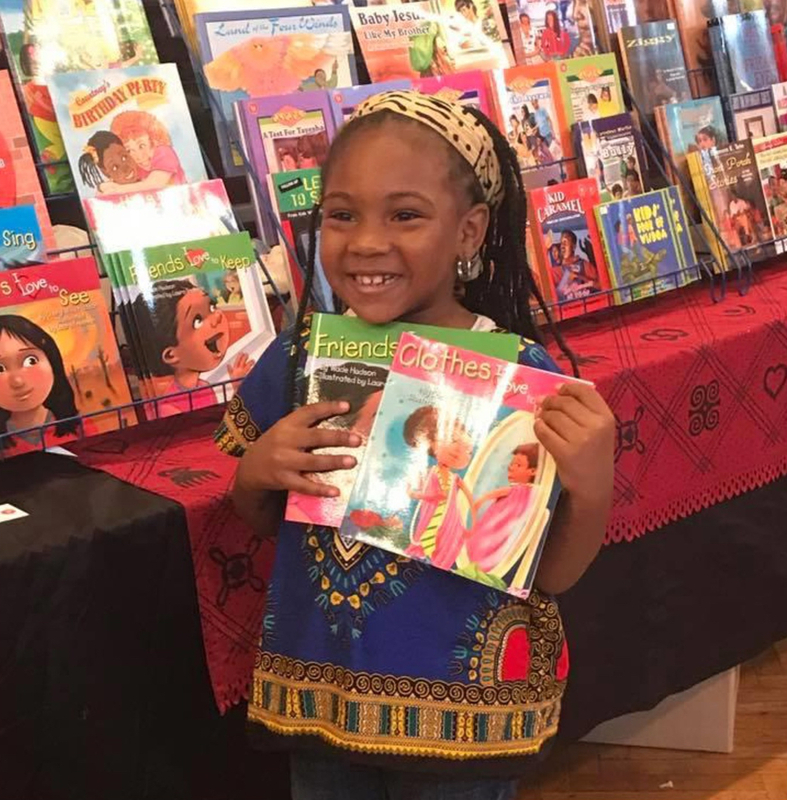 Created by the founders of Newark Mommies, “Building on Books” will be a regularly scheduled series that emphasizes early literacy sensory exploration, skills development and creativity. 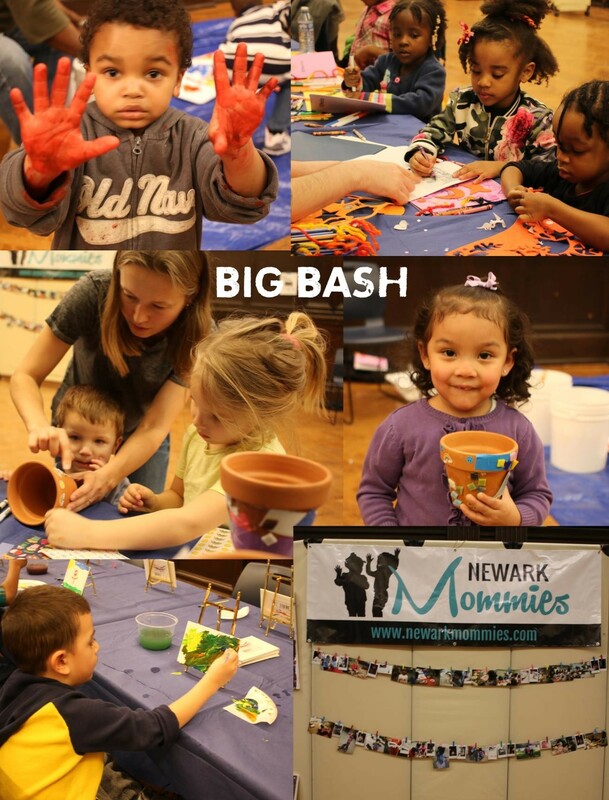 Rotating through the branches of the Newark Public Library, mommies and their young children will explore creative art projects that include paint, drawings, collages, crafts, and more. Description: 32 week in-school residency partnership (K-1st, seven Creative Movement classes each week; 2nd-3rd, six rhythm Tap classes each week; 4th/5th, five cultural dance classes each week; 6th-8th, one preparatory elective class each week.